I purposely use the word “fantasize” because absentee ownership is a truly elusive business destination to achieve. My definition of absentee ownership: To own a salon/spa business that operates efficiently with the critical numbers to prove it, consistently delivers on its brand promise, provides career and income growth for employees, and generates a predictable Net Profit and Return on Investment. 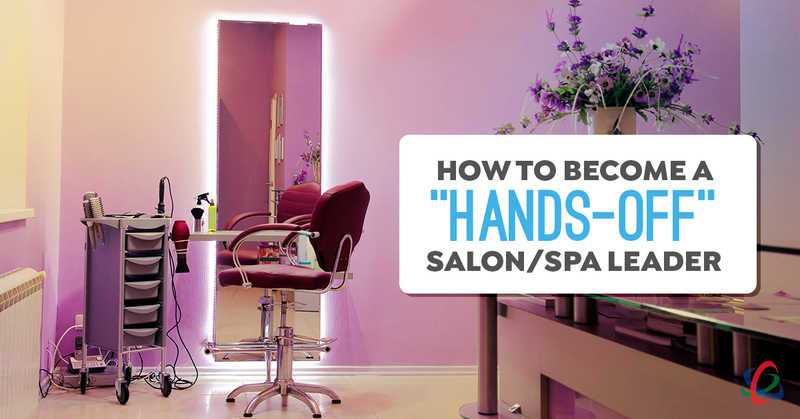 So, what does “absentee ownership” have to do with becoming a “hands-off” salon/spa leader? EVERYTHING. Becoming a hands-off leader is a non-negotiable prerequisite to successful absentee ownership. A PROFOUND QUESTION: What would happen if you were unable to work in your company and needed to continue taking a paycheck? Leading and growing a salon/spa is anything but an exact science. Even the best laid plans are not immune to setbacks and inconveniences. Setbacks are easy to understand, and they are going to happen. Employees will come and go. Cash flow challenges will occur. Things will breakdown. Good ideas will go bad. Inconveniences are best described as “annoyances,” like employees being late for work or not following protocols. Setbacks can knock you down. The intent of this blog post is to bring clarity to how you respond to the inevitable setbacks and inconveniences of being a leader and business owner. Salon/spa owners are entrepreneurs. Entrepreneurs are typically passionate and emotionally invested in their businesses. It’s easy for an inconvenience to become a setback. It’s easy for a setback to become a crisis. At first, they were called “receptionists.” They answered the phones, booked appointments, greeted clients and checked them out. 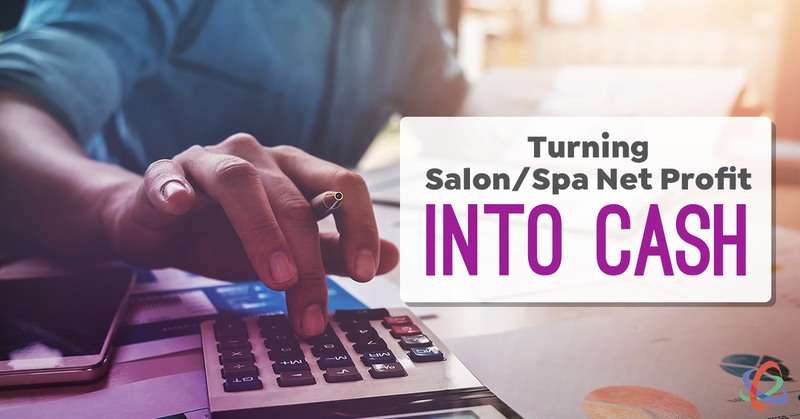 As salons and spas evolved into more sophisticated businesses, they were upgraded to “coordinators” because it became obvious how the right individual(s) at the front desk can influence the overall productivity of the entire team. As the owner of a salon/spa, managing employee payroll is always a top priority. But what about how you, the salon/spa owner, should pay yourself? As an owner, there are many considerations, and many differences of opinion, on how an owner should be paid. How should you get paid and how much? If the business is profitable, how much of that should you take? What if you’re also a busy service provider? What if you’re a full-time leader/manager? What if you have a partner(s)? One thing we know for sure is that owners don’t get to keep all the money that’s left over after service providers are paid. The sacrificial paycheck: The stark reality of being the business owner is that when cash flow is tight, owner’s must sacrifice their paychecks so employees can get theirs. In these stressful times, some owners continue to take paychecks but not cash them. The problem with this approach is that withholding tax on those paychecks still needs to be paid on time. The other problem, depending on the length and severity of the cash crisis, is that all, or some, of those uncashed paychecks may never be cashable. KEY: The best strategy, and unfortunately the most painful, is to not take a paycheck until cash flow recovers. 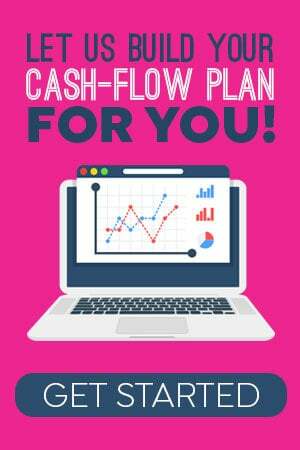 And the only way cash flow recovers is to drive revenue and lock down spending with a cash-flow budget. 10% of Total Income: This is a very subjective benchmark for owner’s pay. First, it is based on an owner whose full-time responsibility is the leadership of the company, not generating revenue servicing clients. Second, it is based on the fiscal and budgetary expense management of the company. Simply put, the 10% is in no way an “owner’s commission rate” on total company income. Quite the contrary. It is a salary that is budgeted into the company’s monthly and annual cash-flow projection. KEY: The 10% is only sustainable if monthly sales projections are met and expenses are strictly managed. So, if an owner wants to make a $100,000 annual salary, without servicing clients, the salon/spa must be doing at least $1 million in total revenue. Service provider owners: This is where the differences of opinion are varied and wide. 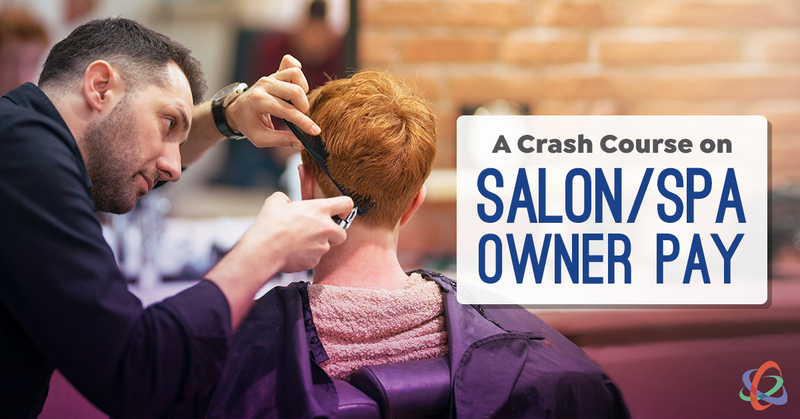 When most service provider owners open their salon/spa, they need to be revenue producers. As the company grows, the challenge then becomes balancing their passion for the work and revenue generating with leadership responsibilities. When an owner bases their compensation on a commission rate on revenue their hands generate, they can easily fall into the “bought yourself a job” scenario. My recommendation is for service provider owners to budget themselves a salary that is allocated based on time devoted to leadership/administration responsibilities and time servicing clients. Leadership/administration pay goes under “Officer’s Salary” and service time goes under “Cost of Sales” in Service Payroll. Owners pay based on time allocated to work responsibilities rather than “commission” just makes sense and reduces the chance that leadership responsibilities get shortchanged for the sake of revenue. KEY THOUGHT: If you or your company needs the revenue your hands generate to survive, you have a major problem. You’re stuck. Your company is free floating. Profit, cash reserves and distributions: Profit is often described as the owner’s “second paycheck.” Yeah, wouldn’t that be nice. But that thinking is an invitation to a cash crisis. Why? Because profit isn’t cash. (Read this blog post learn why.) Cash reserves equal to three to four months operating expenses is not only prudent, it’s smart business planning. KEY: When all the bills are paid, debt principle is current and asset purchases are planned and managed — and cash reserves are sufficient — you can take an owner’s distribution. How much depends on the factors I just stated. And yes, distributions are taxable income. The only exception is at year end when corporate tax returns are completed, taxes have been paid on profit, and disbursable cash after taxes is available. Your accountant should be able to provide that amount. Owner bonuses: If, under your leadership, your company is growing, hitting goals and creating profit, you can take a bonus. It can be quarterly, year-end, or based on hitting certain growth targets. KEY: Bonus amounts must be manageable, budgeted and never compromise prudent cash reserves. Corporate partnerships: I put the word “corporate” in there because every business entity should be incorporated. Corporate entities (LLC, Sub S or C-Corp), often referred to as the “corporate shield,” legally separate personal assets from the company. When it comes to partnerships, clarity and fairness must prevail. Again, I don’t like that service provider owners work on commission. KEY: Partners should receive a salary based on clearly defined responsibilities because the moment one partner perceives that he or she is carrying more of the load, the partnership will sour. Distributions are made based on the percentage of stock ownership and in accordance with the criteria stated in the previous bullet on distributions. Zero profit strategies are dumb: I have to throw this one in here because it is, like I said, dumb. There are accountants that recommend driving profit to zero, or a loss, to avoid income tax. True, part of an accountant’s job is to recommend strategies that minimize income tax. But driving profit to zero or negative is foolish and compromises the financial integrity of the company. KEY: You can’t build cash reserves without creating profit. You can’t create a financially sustainable company with zero profit. You can’t finance growth with financials and tax returns that show a history of zero profit and losses. If your accountant recommends “zero profit” — get a new accountant. That final line on a Profit and Loss Statement is often regarded as the Holy Grail of business. And why shouldn’t it be? After all the income is tallied and all the expenses are paid, what remains is Net Profit. If it’s positive, you won. If it’s negative, you lost. You work hard to get those few percentage points to appear on that bottom line. The problem is that many owners don’t fully understand the dynamics of Net Profit. Don’t stop reading! You need to make it through the next few paragraphs and it will all make sense.